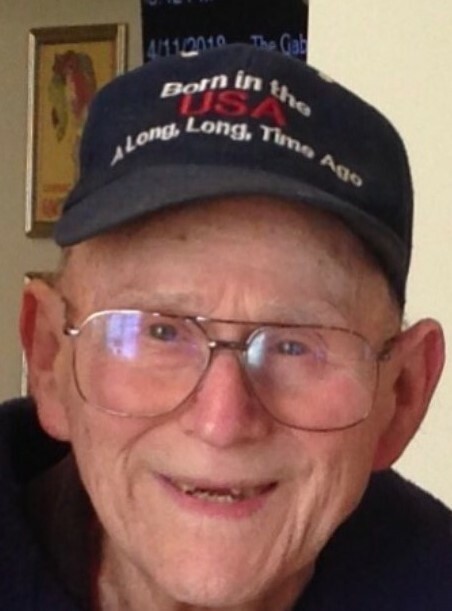 Obituary for Robert "Smitty" Smith | Fleming & Billman Funeral Directors, Inc.
Robert “Smitty” Smith, age 91, St. Rt. 45, Morgan Twp., died Tuesday morning, 10/9/18 at residence. He was born July 25, 1927 in Evansville, IN, the son of Hugh F. & Rosella C. (Wunderlich) Smith and has resided in this area since 1948, coming from Lodi. He was married to Barbara J. Beliles on June 12, 1948 in Parma. Mr. Smith was a veteran of the U. S. Army Air Corp, serving during World War II. The first portion of Mr. Smith’s career he was employed with New York Central Railroad for many years, then was a truck driver for the former Gemini Contractors in Geneva and Skidmore & Chah before retiring. Mr. Smith was a member of the Rock Creek United Methodist Church, the Ashtabula Post #943 of the VFW and Teamsters Local #377. His enjoyments include doing jigsaw puzzles, woodworking, walking, yoga and playing golf. Survivors include his wife, Barbara; daughter, Cynthia (Bob) Zimny of Geneva, daughter-in-law, Linda (Lynn) White of Austinburg Twp. ; grandchildren, Heather (Chris) Wolfgang, Jason Zimny, Robert Smith, Ryan (Melana) Smith & Aaron Smith; 11 great-grandchildren; three great-great-grandchildren; sister, Lois Giesel of Green and a brother, Hugh “Bud” Smith of Augusta, GA.
His parents and a son, Robert E. Smith preceded him in death. Memorial services will be held Saturday, 10/20/18, at 10:30 AM at the Rock Creek United Methodist Church, 3210 N. Main St., P. O. Box 185, Rock Creek, OH with the Rev. David Miller of the church officiating. The family will receive friends at 12:00 PM at Geneva Post #6846 of the VFW, 76 Depot St., Geneva where you can join in food and fellowship. Geneva Post #6846 will render military honors at 12:30 PM at the VFW. The family request in lieu of flowers memorial contributions be directed to the Rock Creek United Methodist Church (above address) or the Morgan Hose Co., P. O. Box 201, Rock Creek, OH 44084. Envelopes will be available at the church and the VFW. The Fleming & Billman Funeral Directors and Crematory and staff, Jefferson, Ashtabula & Geneva are honored to serve the Robert Smith family. To view obituary, express condolences or light a candle, visit fleming-billman.com.